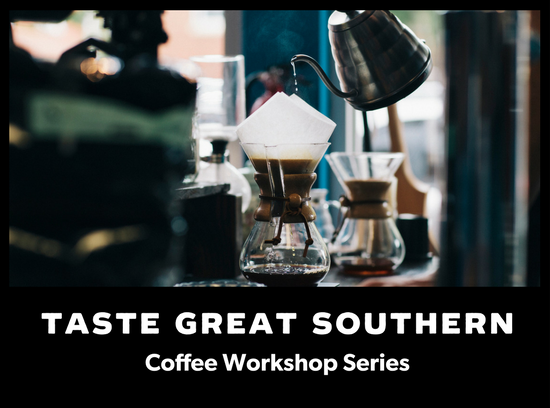 The epic Great Southern food, wine and coffee festival, Taste Great Southern, is approaching and we’re excited to be holding a series of workshops at our Roastery this year. Encompassing everything from coffee roasting and cupping through espresso and brewing, these four workshops are going to be a lot of fun. We’ll be opening up our Roastery to visitors, sharing our love for all things coffee and even playing our favourite vinyl records for you. If you’d like more info and for tickets available through Eventbrite check out the links: Espresso (sold out), Everything But Espresso, Roasting, Curated Cupping.